One of the key benefits of being an IAMCP member is the access to key Microsoft execs and invites to exclusive events. 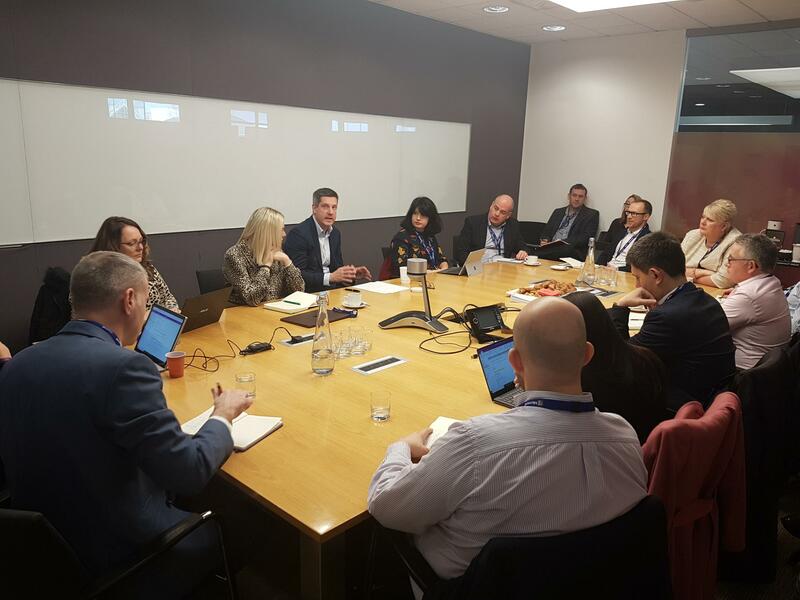 A recent example was the round table on January 22nd with Chris Perkins, Public Sector GM, Microsoft UK. The event was a great opportunity to find out more about Chris's team in the UK and the best ways of engaging with them. Another key focus area this year is Social Care (remote monitoring, IOT solutions, managed service, first line support, etc.). Non Profit sits as part of a global organisation and the local UK team reports directly to them, not the PS team. The key objectives of the accounts is to help their customers with the digital transformation more efficiently and at a lower cost. The technologies that are supporting this transformation are Azure, Office 365 and Dynamics 365. Interestingly Brexit or "EUExit", which is the term used by the accounts, has not slowed down the engagement with the public sector accounts. It has created higher traction, but the uncertainty of the outcome and the overall impact is still there. 1. IP development - create solutions and get them listed on the OCP catalogue - the PS team is actively working with partners who have finished solutions. 2. Managed services - the lack of skills, understanding and planning migration is a big blockage for many of the accounts; there is an opportunity to provide customers with complete solutions on a CSP platform. 3. Advisory deployment service - adoption and change management services are on high demand; driving cultural change is highly valuable. The audience had a chance to ask about specific accounts and team leaders to engage with, which was extremely useful for the attendees. If you are interested in finding out more about IAMCP and how to become a member, you can click here - http://www.iamcp.uk/premier/. Are you going to Microsoft Inspire? Swing by the Women in Technology Lounge to make some new connections and learn more about our partners.